Sections SEARCH Skip to content Skip to site index Sports Subscribe Log In Log In Today’s Paper Sports | Hidden Gems: Do the Patriots Find Them or Create Them? Supported by ByBill Pennington Feb. 2, 2019 ATLANTA — In 2000, Antowain Smith, a running back who had been the Buffalo Bills’ first-round draft pick three years earlier, was unceremoniously cut by the team. Smith had been buried on the Bills’ bench. 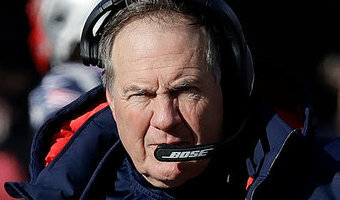 The next season, Smith landed in the training camp of the New England Patriots, even though some of his friends wondered why he wanted to play for a team coming off a 5-11 season and for a head coach, Bill Belichick, who seemed on his way to getting fired by a second N.F.L. team. The Patriots already had two, young homegrown running backs, so what kind of chance would they give a veteran discarded by the second-rate Bills? Smith became the first conspicuous castoff to end up playing a … [Read more...] about Hidden Gems: Do the Patriots Find Them or Create Them?